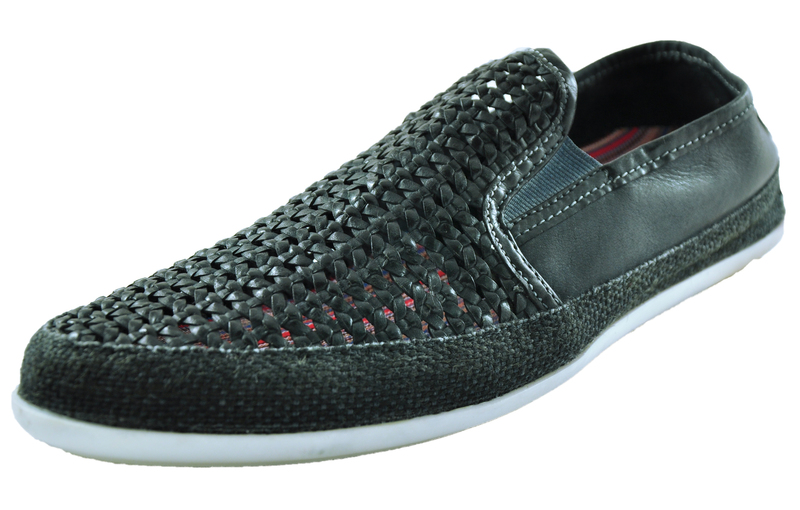 The Stage is a stylish and comfortable men’s slip on shoe that is ideal for casual wear. These Base London Stage woven leather slip ons are great for relaxing days on holiday, whether your exploring the local area or walking on the beach, these are a great choice of footwear. Offering a stylish open design for optimal breathability on summer days, complete with a supple leather upper for added support and a sumptuous padded foot bed for fatigue free wear.